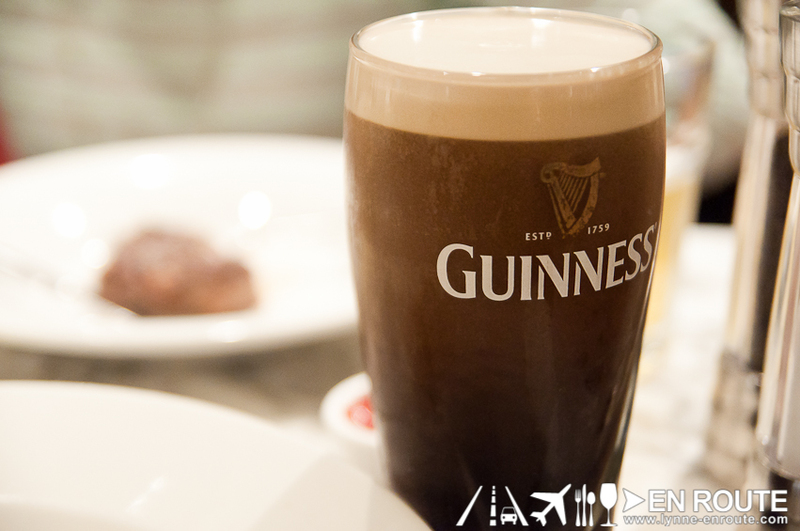 First impressions when seeing a pint of Guinness is the anticipation of that refreshing moment as you drink a properly poured pint of this world famous beer. 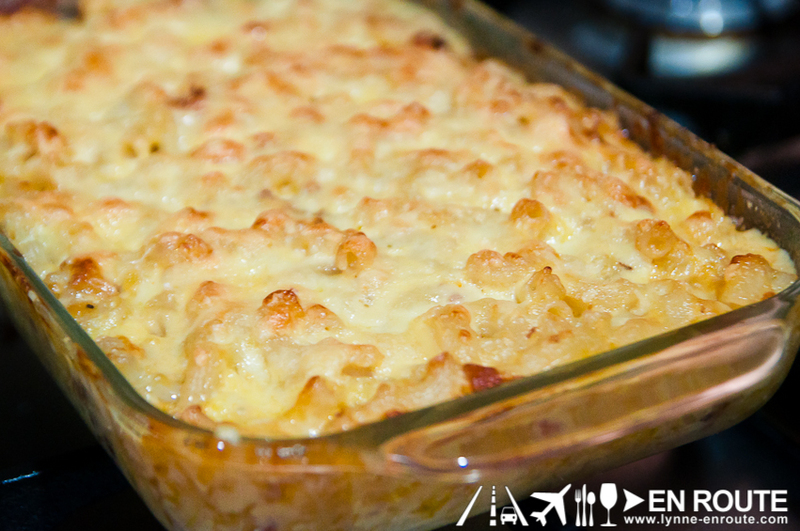 First impressions when seeing a tray of Baked Macaroni with Cheese is tasty comfort food. Maybe good for those rainy days. It is a far cry to think that Guinness be made part of a baked macaroni recipe aside from being the beer match for the delicious morsel. But this recipe where Guinness (or any stout you prefer) is actually part of a three cheese macaroni ensemble will you give an idea of what the Irish spirit is all about. And it tastes pretty darn good. It involves some corned beef, too! And best to have some great, tasty corned beef that you can place in chunks. This was actually brought about by an experiment with leftover Hillside Ranch Corned Beef products after making a Flipino corned beef nilaga. 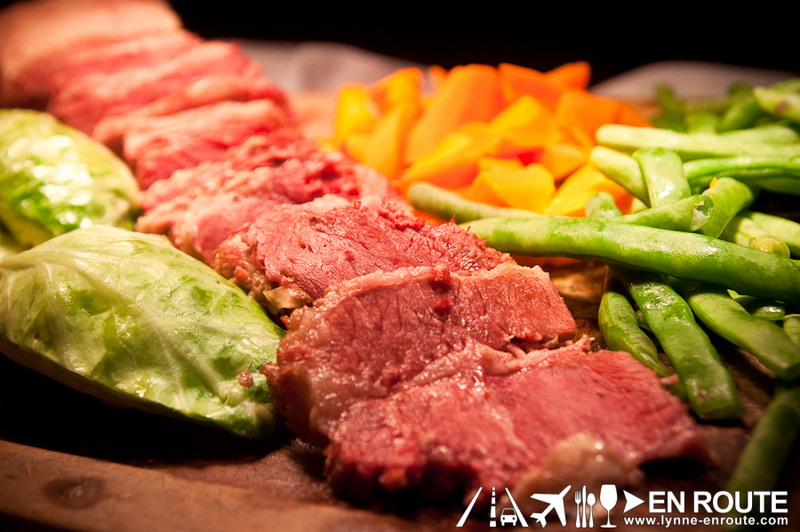 But if you are feeling extra special, use this locally available Wagyu Corned Beef. There were some that can be lifted off the internet. All vary in execution. This one was to take into consideration any ingredients that are available in Manila. 500 grams of corned beef, chopped in chunks. In a medium sauce pan over medium heat melt butter and add flour stirring for a couple of minutes. Slowly stir in beer first, cook for about a minute, then slowly stir in milk stirring until it thickens. Add corned beef and add salt & pepper to taste. 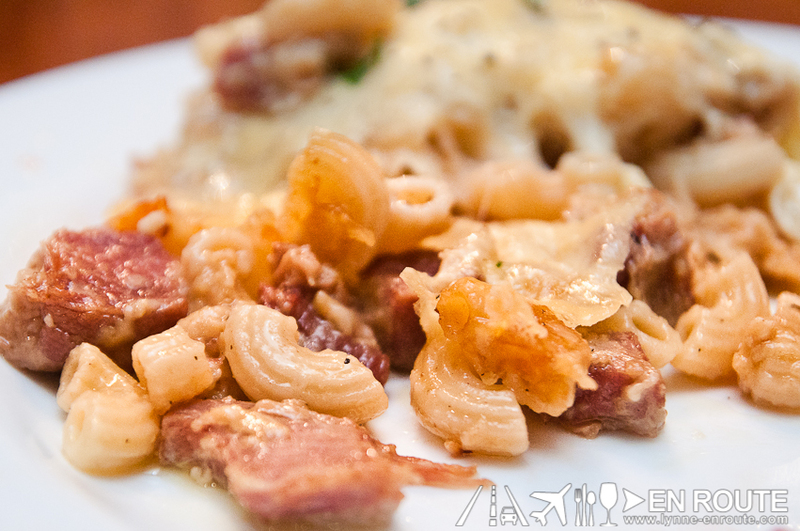 Salty and creamy cheese, savory sweet corned beef, familiar texture of macaroni, and that slight caramel-taste of a stout will draw in fans of its own. This should be part of a great dinner party. Oh, and that remaining Guinness while you were cooking? Yeah. Go drink it. You deserve it for making this dish. Let us know what you think once you’ve made the recipe. Sharing is caring. This is SO perfect on a rainy day! Do you take orders? It’s bed weather and we don’t want to get out of bed… ha ha ha ha!